Writing sales pages isn’t fun for most people. In fact, I think creating sales pages is one of the least liked tasks for almost every business owner. One of the biggest hangups people have is knowing what exactly you should be including on your sales page and where to put it. Hey everyone! Please welcome Kathie, one half of the amazing feminine WordPress theme shop, Bluchic, today on the blog. If you haven’t seen her and her husband’s amazing work, make sure you do. You won’t be disappointed! This post also contains affiliate links, which means (at no cost to you) DYOB receives a commission if you purchase through these links. I only recommend products I can stand behind myself and appreciate your trust and support. We’ve run our business for over 5 years now, so we know a thing or two about creating actionable sales pages that grabs a reader’s attention. We’ve learned a lot over the past 5 years and we wanted to share our experience on what matters most when creating a sales page. 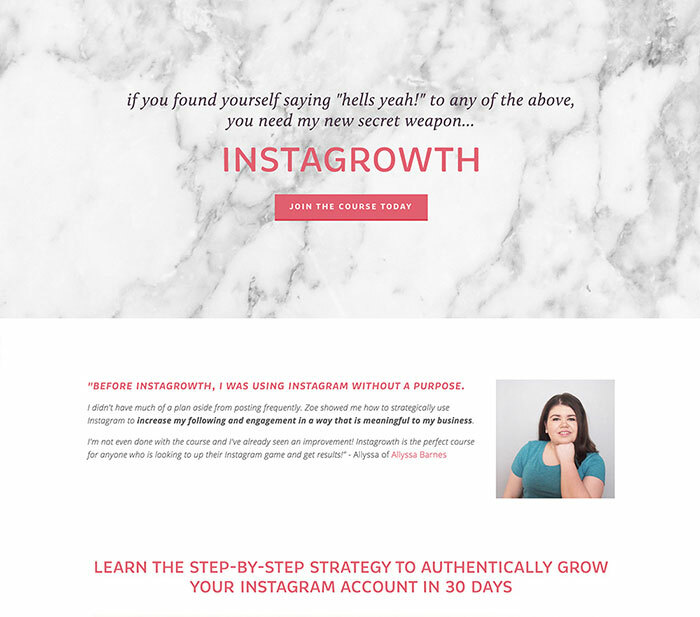 We’ve included our formula for writing actionable sales pages, and we also have ready-to-go templates for you to use if the design aspect holds you back. One of the most important aspects of your sales page is an eye-catching headline that entices visitors to continue reading. To create a headline that captures a reader’s attention, it should be specific, concise and focus on one main pain point your ideal customer has. 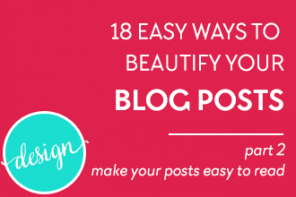 Be cautious of making your headline too lengthy, we recommend sticking to 15ish words. Also, it’s critical to remember to use words that your target audience uses when they’re referring to the problem your product or services solves. Using your audience’s own words will immediately catch their attention and will hook them to continue reading more. Design and layout are often afterthoughts for sales pages, but they are the most critically important aspects of your sales page. A poorly designed sales page can lead to less conversions, and we obviously don’t want that! Font structure: Keep it clean and easy to read but using mostly Sans Serif fonts. Don’t use too many cursive fonts as it’s difficult on the eyes to read. Responsive: Your sales page has to be responsive on all devices. You never know what device someone could be looking at your sales page on, so it’s important your sales page fits every size out there. 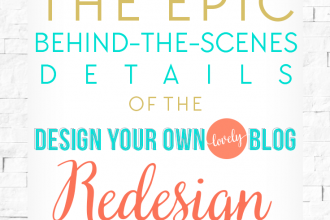 Sections: Instead of using big blocks of text, try using sections to break up your content and graphics. Visual graphics: Show off images of your product visually so visitors know exactly what it is they are purchasing. This is a must-do whether you sell physical or digital products. 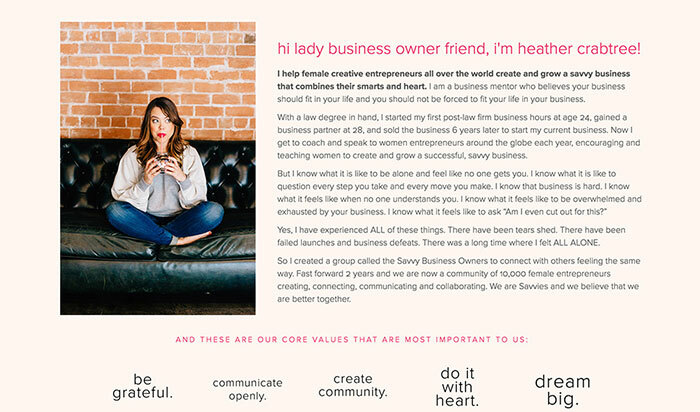 White space: Including white space on your sales page gives visitor’s eyes a break while reading and also helps them focus in on the text and visuals you do have. Programs like Leadpages and Clickfunnels can help you create well-designed landing pages but 1) they’re expensive and 2) they have a lot of bells and whistles you probably won’t utilize. We sell ready-made Landing Page Templates that you can purchase for a one-time fee that integrates easily with your WordPress website. They are a great alternative to other pricey programs and you can be confident that they are professionally designed and perfect for small business owners! Oh, and they are so easy to use and implement, you’ll be amazed at how simple it is to get up a landing page, fast! 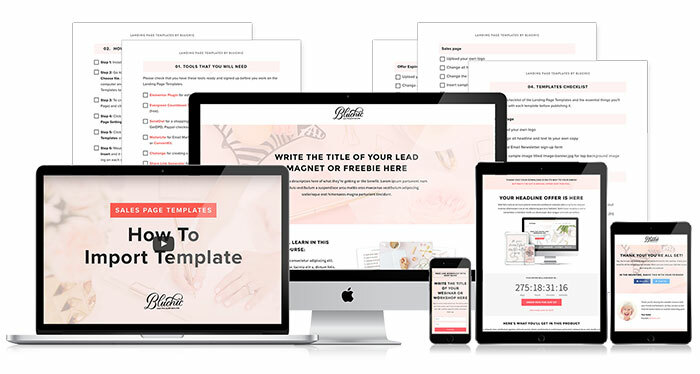 Learn more about Bluchic Landing Page Templates now. Depending on what you’re selling and the price of your product or service will determine how many calls-to-action you should include on your sales page. Some people may not read your entire sales page so you want to make sure you’re including ample call-to-action buttons throughout your sales page. People like to read how other people have been positively affected by your product or services. It gives visitors a sense of ease because they know that someone else has “tested” the product and they can feel even more confident in purchasing what you’re selling. If you’re new to business, have beta-testers for your product so you can get some great testimonials. Wondering how to ask for testimonials? Make it less intimidating by asking people to fill out a form about your product or service, instead of asking them directly for a testimonial. People will be more apt to give a truer response by filling out a form. People want to know that they can trust who they’re buying from and your bio and experience is a way to build that trust. Point out that you know what you’re doing and why people should trust you and your product. Share who you’ve worked with in the past, projects you’ve completed, and the successes that you’ve had. Be yourself and let yourself shine. A bio doesn’t have to be a boring description, so have some fun with it! Copy is ultimately what is going to sell your product or services, so it has to be alluring enough to visitors to take action and purchase. 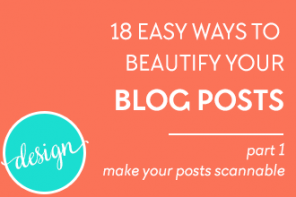 We hope this post has eased your minds for creating your next sales page. It’s not as hard once you have a formula to follow! 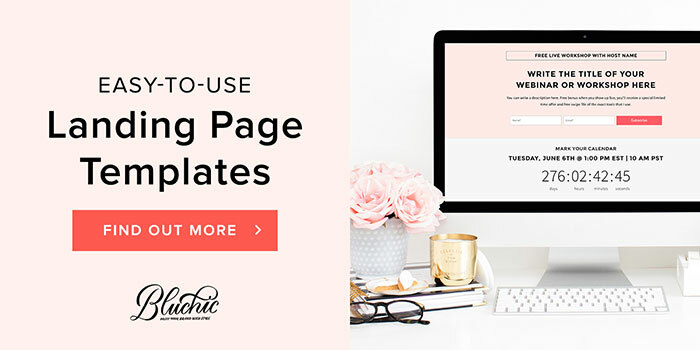 If designing landing or sales pages sounds like a dreadful task, be sure to check out our Landing Page Templates that works perfectly with WordPress websites! 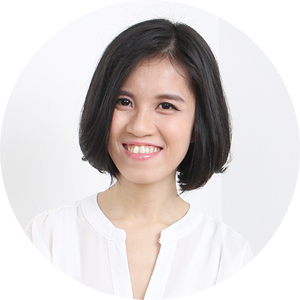 I’m Kathie of Bluchic, and together with my husband, Andrew, I create stunning, feminine WordPress themes for female entrepreneurs and bloggers since 2012. When I’m not designing new templates, I’m spending time with my husband and son — probably munching down on sushi or even just spending hours playing Legos. Previous article50+ Sites for Free Feminine Styled Stock Photography! 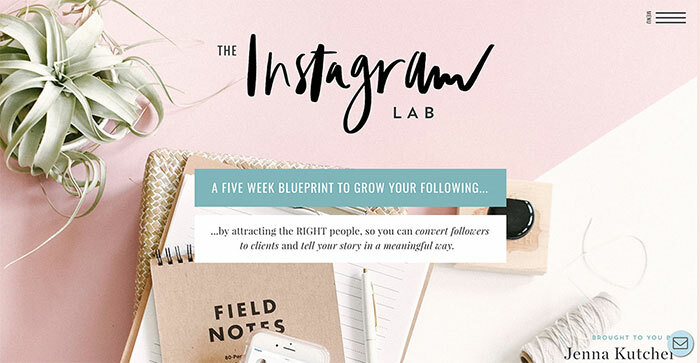 Great tips over here to create an effective sales page. 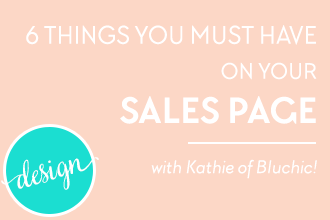 Agree, that before starting a sales page we should know what to be included and where to put it. Thanks for sharing 5 year experiance of your business. 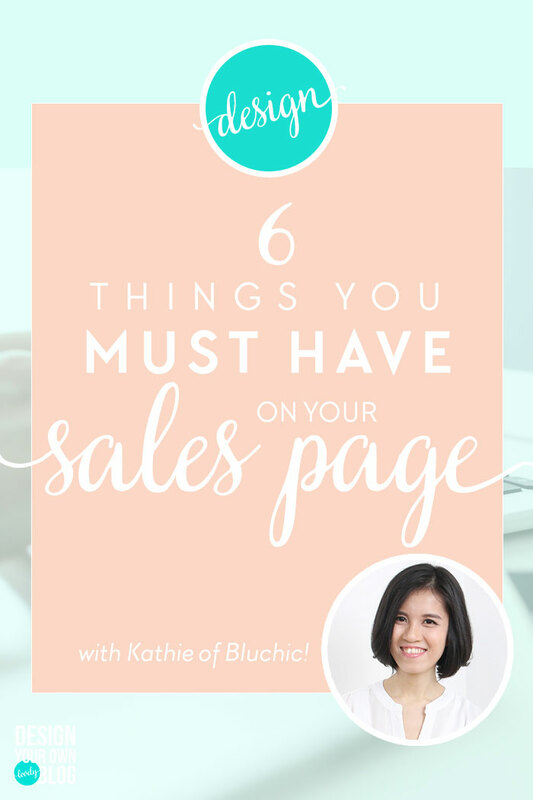 All these tips are very helpful to create a sales page. In this post you have explained all these tips very nicely and it is very easy to understand. Thanks, Praveen! I hope after reading this post that you feel more confident in creating high converting sales pages for your business. I love your templates, Kathie! They have been a lifesaver! And they’re gorgeous! Thanks Kathie for this informative sharing. You are absolutely right, a sales page needs some serious representation to get the utmost outcome. All your mentioned points are highly significant and effective. But you told that some people don’t like to read the entire content of a sales page. Now my question is that, what would be your thought of a sales page with around 4000 words content, I mean long form contents help to convert visitors into sales more or not (I am considering rest of the things are optimally optimized)? Absolutely, These are must needed for any sales business, Apart from these there should be live chat support and proper communication way, which drives clients to concern person. Those are great additions Stuckey, thanks for adding that in!